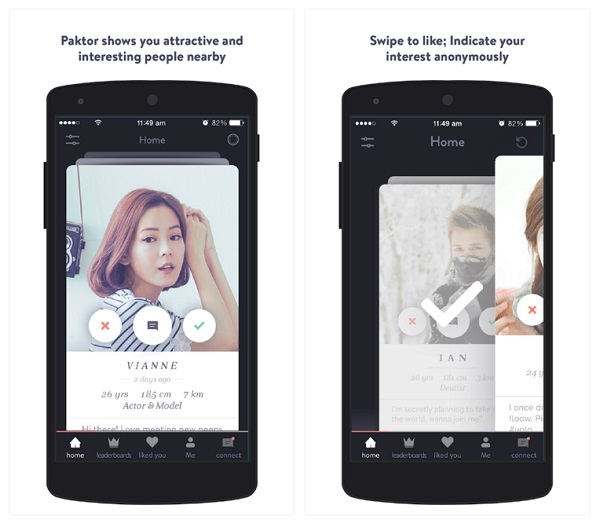 Download the Paktor App for free and start using the leading Asian dating app in Taiwan and Southeast Asia. Paktor (that’s GoPaktor.com for the dating site) have created a dating app for both Android and iPhone which is breaking edge, friendly, fast, and is home to the biggest social networking app for singles dating in Taiwan and Asia. 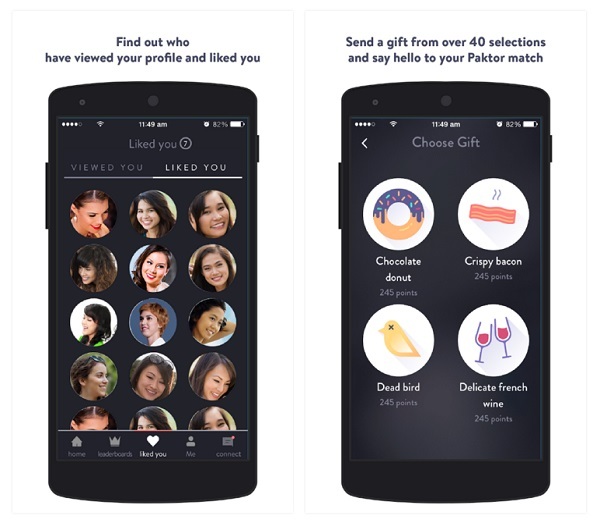 Our review of the Paktor App concludes that this is one of the must download apps to find love, date online, meet people, or start a relationship online via your mobile or tablet. The great design and ease of use of the Paktor App extends to all tablets and mobile phones, including Android and iPhone. 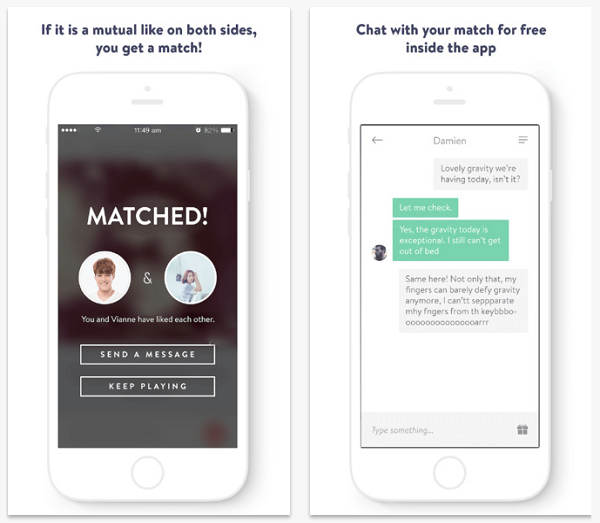 This dating app offers free features which make it easy for anyone in Asia or Taiwan to find local singles who are looking to go on a date, enter into a meaningful relationship, or just meet in their local city. The Paktor dating app superiority over the competition is the fact that only a mutual like by members of the app will reveal the user’s profile and make the match open for communication. This means that online dating via Paktor is much more reliable when it comes to making a match between singles who are truly into one another and who are looking to date using their mobile. If Paktor isn’t what you are looking for we do recommend you to take a look at all our Android dating apps and iPhone dating apps reviews, so you could find the right application for you. 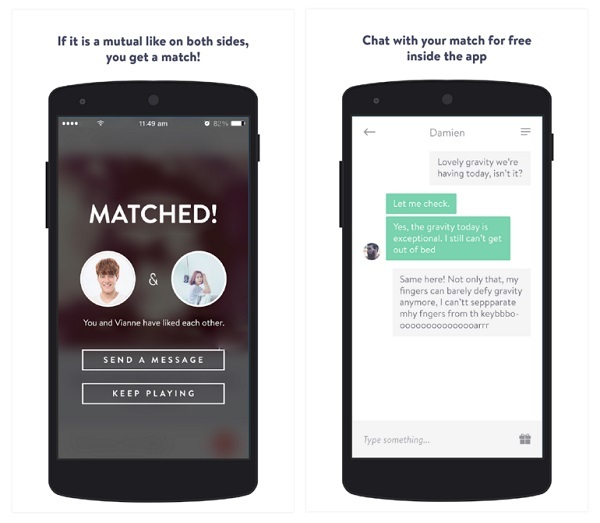 Free to swipe your your mutual matches. Free to like (mutual matches). Using the anonymous like feature is free (only people who like you back can see your profile). Customize search according to age, gender and distance. Use of the auto translation feature (which enables matching singles from different countries who do not speak the same language). Receive Paktor points (daily) to send direct messages and gifts. Using premium filters according to Job, height and education. Ability to view people who liked you. All of the above Premium member features. + Sending unlimited gifts and messages. If you are living in Asian and own an Android or iPhone you should download the Paktor App. This social networking dating app is a must for singles who are looking to date online or hook up through their mobile or tablet with safety, reliability and ease. 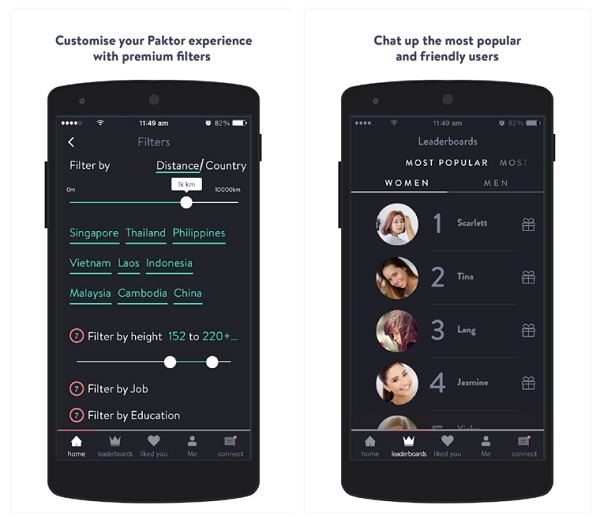 The Paktor mobile app is free to download and install and serves as the base to over 6 million users in Asia who are part of this social dating network. It is the leader Asian dating app to use if you are looking to meet quality local singles in your area. 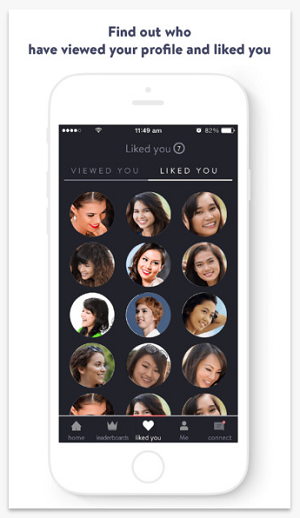 This Asian singles dating app also offers you the Paktor date guarantee which claims that if you do not go out on a real date through the app, Paktor will give you 3 months of free membership. We highly recommend you download the Paktor App to your Android or iPhone. 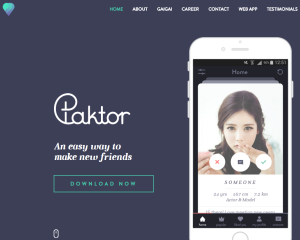 Will the Paktor App work on iOS 8? Yes, Paktor has developed its app based on iOS 7.0 and all later operating systems offered by Apple for mobile devices. I speak English, can I use the app to meet singles which don’t speak my language? Most definitely! You can use the auto translate feature of the app to connect to any member in his or her language (even if you don;t speak it). Is the Paktor App secure? Yes. 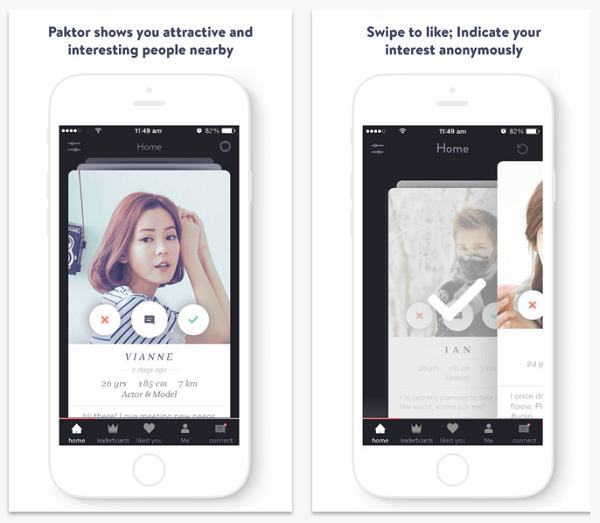 Paktor has invested heavily in the security of its dating app. The use of encrypted login and registration allows this to be one of the safest apps operating throughout Asia.